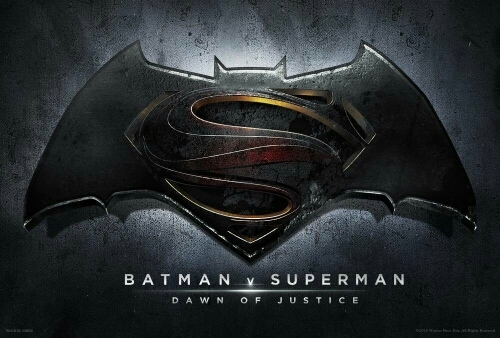 The title to the new Batman/Superman movie crossover was revealed today as Dawn of Justice. As comic book movies go, it’s fairly par for the course and doesn’t give any further details about the eventual plot of the film, but the fact that the it will be set in the universe created in Man of Steel we can be sure that we’ll have to relive the Batman origin once again. As if we haven’t seen that rehashed enough. Honestly, I love the idea of DC characters finally crossing over in the film universe, and it’s no secret that practically the entire DC lineup will have a spot in the film in one way or another as the leadup to Justice League. But to be perfectly honest, I walked out of Man of Steel with feelings of…well, I’ll just put it out there: I hated it. I haven’t been that pissed off since walking out of The Spirit. Why? Pick a reason: crap script, great actors delivering dialog worthy of George Lucas’s New Trilogy (i.e. cringe-inducing), overly-stylized cinematography that burned the retinas, and let’s not forget that we had to watch Superman play out the exact same fight sequence innumerable times between different members of Zod’s army. How man damn times do we really want to watch two people toss each other through building after building for upwards of TEN DAMN MINUTES. The horrendous fights alone stretched that movie out into a painful length. There are just too many reasons for me to hate that movie. Which brings me to the original point: can we really trust Zack Snyder to do this right? Sure, he’s made some passable comic book movies which I have enjoyed, but this is the BIG leagues and after Man of Steel I get the feeling that he’s on a directorial downswing that may bottom out by the time Justice League hits theaters. Plus, taking over the Batman reigns is going to be a damn difficult task after the perfection that Chris Nolan gave us with The Dark Knight trilogy. Only time will tell, but I won’t have high expectations for future DC films. Hell, I didn’t have high expectations for past DC films, and they still failed to deliver (lookin’ at you, Lantern). In truth, Warners has a difficult task ahead. Marvel has already pieced together one of the best cinematic universes in history and at this point DC can only play catch-up. Let’s hope they can deliver something at least passable. This entry was posted in Uncategorized by HexiJosh. Bookmark the permalink.